Want Hot Water on Demand? Is a tankless hot water system right for you? 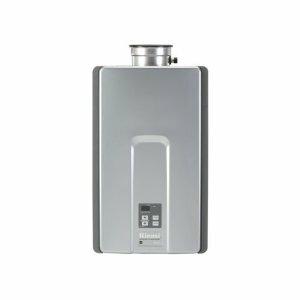 Tankless Water Heaters; Reviews, pros & cons and recommendations on buying, installing and using an on demand water heater. On demand hot water heaters - Never run out of hot water again. On demand or tankless water heaters have several advantages over their hot water tank compatriots. Turn on the hot water tap, and hot water emerges, just the same as the old variety but the water was not sitting in a tank being heated and re-heated waiting to be used. In the case of tankless systems the water isn't heated until you need it. Rather than keeping a tank of water hot the tankless system heats the household water supply only when it's being used. When no one is using hot water, the system is inactive. The cost for a household unit will be between $500 & $1,000 USD dependng on the size and model you choose. Obviously, the system you're replacing will have a huge impact on potential savings. If you're replacing an antiquated energy sucking tank, you're likely to notice a significant difference on your gas bill. Replacing a more energy efficient unit will yield little in savings. The system will pay for itself in 10 years or so. It's not a rapid payback and most householders that settle on the tankless varieties do so for the unlimited hot water and the gain in space rather than a huge monthly cost savings. Expect to save between 10% and 50% on your gas bill. The biggest cost savings (and therefore, shortest payback time) will be realized by those who don't use much hot water and who are replacing an older, inefficient hot water tank. Endless Hot Water - The system delivers unlimited hot water that never runs out (unless your gas or water run out). The shower and dishwasher, or 2 showers, or laundry and a shower, can be run simultaneously without running the hot water out. Reduces Energy Costs - It costs money to keep a tank of water hot indefinitely. Tankless water heaters don't require a tank and don't "keep" water hot, rather they heat the water as it runs through the system. Gain Living Space - No water tank means you'll have a water-tank-sized space available for a study area or linen cupboard or work bench or book shelf or pantry or... you name it. A tankless unit is about the size of a bread box or a small microwave. Tax Credit - Tax credits and energy conservation incentives can add up to as much as $1,500 USD reducing payback time (the time it takes to save the cost of installing the unit). Delay - One down side is that the on demand heat begins a few seconds after the tap is engaged which means that there is a short delay before hot water is delivered to the spigot. The delay increases according to how far the unit is mounted away from the faucet. Many consumers report little difference in the delay between the old system and the new but some notice more and are concerned about wasting water. We always keep a bowl under the faucet to catch run off water. We use it to rinse fruits and vegetables, water plants and herbs, dampen a cloth, etc.. Sandwich Effect - Here's the thing, because the tankless receives a message to begin pouring heat to the water after the water begins running and the message is then relayed to the gas burners, it takes a few seconds for the water coming out of the faucet to become hot. If you keep the water running it will continue at that temperature until you turn the water off. As soon as you turn the water off the tankless unit becomes inactive. If you turn the water on again the unit will go through the entire process, allowing a few seconds of cold water to run before pouring on the coals and heating it up. The effect produced is called the "sandwich effect", hot water, cold water, hot water. Because of this effect, the system doesn't work well for short bursts as you would have when turning the tap off and on to rinse dishes or the like. Short on and off bursts will just produce cold water. Original Water Temperature - The temperature of the water before its heated makes a difference in how efficient these systems are. The colder the starting water, the more stress on the system. Consider where you'll mount the tankless unit. Keeping it close to where most of the water is used will provide a quicker hot water response. Get a Pro unless you are a serious handyman or woman. 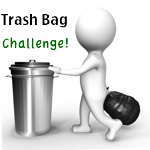 The system requires knowledge about plumbing and gas fittings and knowledge regarding tankless systems. Ask for references from previous customers who have installed a tankless hot water system. Properly sizing your tankless ensures that hot water will be available for all the tasks that need to be done at the same time. Your choice of on demand water heater will also influence your experience. In "tankless water heaters reviews" the Rinnai products consistently rise to the top among those who have made the switch and plumbers. For a busy 2 bathroom house with clothes washer and dishwasher and up to 5 people the Rinnai R75LSi Natural Gas Indoor Tankless Water Heater, 7.5 GPM will cover your needs adequately. A household with 3 or more (full) bathrooms and more than 5 active people could overwhelm the Rinnai R75LSi. Spend the extra dollars and go for the bigger Rinnai R94LSi Natural Gas Indoor Tankless Water Heater, 9.4 GPM to make sure your hot water needs are covered constantly. Visitors to our Tankless Water Heaters Reviews page may also be interested in the following pages.